The Atwater Library and Computer Centre traces its origins back to 1828, when the first mechanics’ institute established in continental British North America was formed in Montreal. Today, with its official name being the “Atwater Library of the Mechanics’ Institute of Montreal,” it is the sole survivor of the many mechanics’ institutes established in Canada in the mid-19th century. The rest were either closed or merged into public library systems. The Atwater Library and Computer Centre carries on proudly, aware of its traditions, but focused on the future. In 1828, some prominent Montreal citizens organized the Montreal Mechanics’ Institution because they saw a need to educate young workers for the emerging industries of the growing city–and to keep the young men out of the pubs. 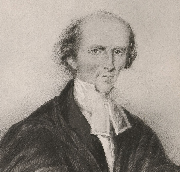 Patron of the new organization was Sir James Kempt, governor of Lower Canada. First president was Louis Gugy, sheriff of Montreal. Vice-presidents were industrialist John Molson; merchant Horatio Gates; Louis-Joseph Papineau, speaker of the Assembly of Lower Canada, and the Assembly’s representative from the west end of the city; and (its true founder) the Rev. 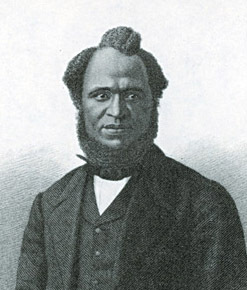 Henry Esson, educator and Church of Scotland minister at the St. Gabriel Street Church. Weekly meetings of the new organization were attended mainly by employers of artisans, craftsmen and shopkeepers, but also by ambitious young men eager to increase their knowledge and expertise. Patterned after mechanics institutions that had already sprung up in Scotland and England earlier in the 19th century, the aim of the new Montreal Institution was, according to its real founder and guiding light, the Rev. Esson, “to see to the instruction of its members in the arts and in the various branches of science and useful knowledge.” In its early days, the institution ran a lecture program, organized weekly “conversations” on a wide variety of subjects, and had a library and a reading room. It was a time when the building trades were expanding rapidly, highlighted by the construction of Notre Dame Church and the Lachine Canal. The population of Montreal was about 23,000, and the principal commercial and social centre of the city was St. Paul Street. Educational institutions were being developed, including privately-run elementary and secondary schools; McGill University began fledgling classes in medicine in 1829. By 1834, two cholera epidemics, pre-Rebellion political unrest in Montreal, and rivalries based on religion and educational objectives, led to a suspension of activities of the Mechanics’ Institution, its last meeting being held on March 24, 1835. 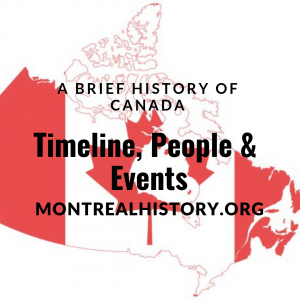 In 1840, with the Rebellions of 1837-38 of the timeline of Canadian history passed and Montreal returning to a semblance of political stability, the Mechanics’ Institute of Montreal was formed–and amalgamated with the previous Mechanics’ Institution. The constitution of the two groups was essentially the same, equipment was obtained from the earlier group, the proposed courses of study were similar, and eighty members of the first group were eligible for free membership for a year (twenty-four joined). John Redpath, a Scottish-trained stonemason who had already achieved considerable success in Montreal as a builder and contractor, and who had been an officer of the Mechanics’ Institution in 1833, became president and guiding force of the new Mechanics’ Institute. A public lecture program was established as “the best means of awakening in the public a desire for knowledge” (Annual Report 1841). Night classes were created at various times for apprentices and workmen–concentrating on reading, writing, arithmetic, French, and architectural, mechanical and ornamental drawing. Elementary school courses were offered, but the main focus was on secondary studies. This represented the first organized effort in Canada to establish adult education programs, and it continued virtually uninterrupted for nearly thirty years, when the courses were taken over by the government. Beginning in 1843 and continuing for some years, small industrial exhibitions were held annually by the Mechanics’ Institute to present to the public the scientific advances being made by various industries active in the city. Held in Bonsecours Hall, they were called Mechanics’ Festival and were popular social events in Montreal. The festivals included vocal and instrumental music and a dance. By 1855, the Mechanics’ Institute had built and opened its own building, at the corner of Great St. James and St. Peter streets (now St. Jacques and St. Pierre, in Old Montreal). For the opening ceremonies, led by the president Henry Bulmer, the building was decorated with banners such as “To Make a Man a Better Mechanic and the Mechanic a Better Man.” With a large lecture hall, it became one of the main cultural centres of the city, and remained so for nearly half a century until the residential population began to shift north and west. For several years beginning in the late 1850s, Alexander Cowper Hutchison taught architectural drawing at the Institute. The son of William Hutchison, a Scottish-born stonemason, A.C. Hutchison had apprenticed as a mason with his father, had taken mechanical drawing at the Institute, went on to teach mechanical drawing at the Institute, and became one of Montreal’s leading architects. He was involved in the design and construction of major buildings in Montreal, including the Redpath Museum, Erskine and American United Church, the old La Presse building and Montreal’s City Hall. His firm, Hutchison, Wood and Miller, would later design the current Atwater Library building. His mason and builder brother John Henry Hutchison was a long-time active MIM member, and his brother Matthew was a life member of MIM. In November 1868, a mechanical drawing class with twenty-four students having a syllabus of practical geometry, details of engines, and other machinery and solid geometry, became the last class sponsored by the Mechanics’ Institute. The government-sponsored Board of Arts and Manufacturers took over running of the classes, which were offered free to members of the Institute and as a result attracted more pupils. The library and the lectures series became the main focus of the Mechanics’ Institute. By 1910, support was growing for selling the St. James Street building and relocating the Institute closer to residential areas. The value of the land had increased vastly during the previous fifty years and it was now in the centre of what had become the city’s financial and banking district. The building was sold, and the new site at the corner of Atwater and Tupper streets was chosen. Budget for building and equipping the new building was $120,000. Sufficient proceeds of the sale were invested to provide income to cover projected maintenance and operating costs of $12,000 a year. President during this transition period 1913-1920 was William Rutherford. Construction of the building was begun in 1918 and completed in 1920. Design was by the architectural firm of Hutchison, Wood and Miller, and by that time A. C. Hutchison was retired and the drawings were prepared by his grandson. His brother, builder J. Henry Hutchison, a long-time member who served on the Mechanics’ Institute board of management, headed the building committee. “[The building has] a solid sense of architectural integrity resulting from its simple and clear composition, selective and consistent detailing, and high-quality construction. By 1940, the library boasted one of the finest technical reference libraries in Canada, and had a total of approximately 45,000 volumes. At the time, encouragement of non-fiction reading was a library policy, conforming to the needs of its reading public and the educational objectives of the library. In 1962, the library changed its name to the Atwater Library of the Mechanics’ Institute of Montreal to reflect its interest in serving a wider public. The focus of its book collection was changing to fiction, biography and travel, with the technical portion of the collection having become more of historical and research interest. In 1977 and 1978 efforts were made to make the library work better for its constituency at a time of declining revenues and dramatic political change in Quebec. The large-print book collection was expanded. Books-by-mail, a project of president Thomas Anglin, began operations. It was widely successful, reaching a peak in 1983 when 4,697 books were distributed to members across Canada, especially in the relatively isolated North Shore of the St. Lawrence River. An Atwater Library children’s division was initiated, catering to three to twelve-year-olds. In 1981, the Montreal Children’s Library moved its head office and main branch into the lower level of the Atwater Library building. This was made possible by a grant in memory of Judith Ewen Reford. When the move took place, the Atwater Library children’s division was closed. In 1984, the remarkably far-seeing Dr. Ted Connolly (president 1982 and 1983, and in 1984 vice-president and chairman of the board’s computer committee) introduced the beginnings of the present-day computer centre within one of the main floor reading rooms, and a short time later a computer course classroom was established on the second floor. A grant from the federal Ministry of Communications had enabled the project to go forward. It was the first computer establishment in Montreal open to the public. 1990 was a year of financial crisis for the library as a result of a major decline in municipal government grants combined with increasing operating costs. Financial assets were depleted. Rather than close the facility, the membership decided to reduce paid staff to three, increase the responsibilities and number of volunteers, and seek new methods of financing. Over the next couple of years, charitable foundations were approached for help, led by library president Ralph Leavitt, and the response enabled the library to continue operations. New directions were examined over the next couple of years, with the help of Board members Anne Pasold and Philip Chartrand, Westmount mayor Peter Trent, and others. By 1994, under the leadership of Anne Pasold (president in 1992, 1994 and 1995), one of the reading rooms was re-equipped and refurbished to house an enlarged computer centre. Architect and board member Susan Bronson ensured that the reading room was restored in a manner faithful to its architectural beginnings. A few years later, Susan Bronson led the major fundraising effort to replace the roof of the building. In 1996, pentium computers (then new on the market) were purchased for the computer classroom, with funding from a charitable foundation. The same year, as a result of budget constraints, the books-by-mail project that had been so successful in the 1980s was cancelled. In 1996, Andrea Rutherford Burgess became president of the Atwater Library, continuing a family tradition. Three of Mrs. Burgess’ relatives, great-uncle Henry Bulmer (1851); great-grandfather William Rutherford (1889); and grandfather William Rutherford (1913-1920) were all presidents of the Mechanics’ Institute. Upon her untimely death in 1998, the reading room was named the Rutherford-Burgess Reading Room. She was the guiding force behind the establishment of the Montreal Association of Independent Libraries. The family tradition continued with architect Mary Leslie-Aitken joining the Board in 1998 and serving as president from 2003 to 2005. Lynn Rutherford Burgess joined the Board in 2008. In 2001, under the aegis of Board members Susan McGuire and Dr. Naomi Holobow, efforts began to have the Federal Government declare the Atwater Library building a National Historic Site. The lengthy process was completed in 2005, and the official ceremony was held in November 2009. In 2003 with the generous help of several charitable foundations, the automated library catalogue system went on stream, a project that had been started by Andrea Burgess several years previously. A website was introduced, under the direction of board member Simon Dardick. Beginning in early 2004, the Board of Directors began updating organizational functions. Accounting procedures were modernized by treasurer Martin Cundall, and management procedures enhanced with the help of vice-president Sam Gatelaro. The position of library director was changed to executive director, the first incumbent being former Board vice-president Susan McGuire. A monthly newsletter for members and volunteers was re-introduced after many years. Emphasis was placed on ALCC becoming more involved in the surrounding community, and new or expanded partnerships were developed with community groups, particularly with those leasing space within the building: the Montreal Children’s Library, Quebec Writers’ Federation, Association of English-Language Publishers of Quebec, Peter McGill Community Council, and Fondation Aubin (with its special book collection from the estate of Prof. Stanley B. Ryerson). During that period, an emphasis was given to the Libary’s book collections, including the Quebec Writers’ Federation collection. With funding from the St. Andrew’s Society, a special Scottish Collection was established under the direction of Mary Leslie-Aiken and Board member Agnes McFarlane, and a special Black Collection was established by Susan McGuire with the help of library members Richard and Carole Lord. In the fall of 2004, the Atwater Poetry Project was organized by Montreal poet Oana Avasilichioaei. Montreal writer Mary Soderstrom continued her book discussion group. In 2007, a project to introduce specialized computer skills to less advantaged youth in the immediate area of the library was initiated, under the direction of Board member Hugh McGuire. A popular lunchtime program with speakers and performers, running from September to May, was introduced by Executive Director Lynn Verge. Under presidents Mary Leslie-Aiken and Hugh McGuire, fundraising procedures and activities were enhanced; and introductory computer courses were diversified and targeted towards specific groups in the general population.